As winter gives way to warm, the appearance of hot chocolate beverages wanes, giving way to lighter options or those that refresh. But, ubiquitous for its myriad benefits, health properties, flavor and overall constitution, hot chocolate is now turning up in surprising places for use in unexpected applications. From hot chocolate massage to chocolate facials, mani/pedis, chocolate is among the hottest ingredients in professional beauty products. In all of its forms, dark, milk, white and even the butter of the cocoa bean (cocoa butter), chocolate infusions are giving tried and true beauty techniques an aromatic and decadent lift. The skin softening properties of chocolate comes directly from its major content, the cocoa butter. Chocolate is extremely rejuvenating for your skin and refreshes the skin. It has turned out to be an excellent beauty ingredient and is being heavily used in beauty care treatments for its skin softening ingredients. It is an exceptional natural moisturizer which makes your skin soft and supple. The anti-oxidants also known as anti-aging allies in dark chocolate helps to avoid and prevents the free radicals from damaging the skin’s elastin, collagen and various other proteins. Therefore, chocolate is used in various beauty treatments to smooth out the wrinkles. The fat content in cocoa butter is made of high quality linoleic acid which gives chocolates the ability to diminish fine lines, and reduce the appearance of scars and stretch marks. Chocolaty treatments help the skin to gradually regain its lost elasticity and aids in getting back one's youthful glow. Chocolate cures also protect the skin from the harmful effects of sun exposure and pollution. Application of chocolate has amazing results. It nourishes the skin while sloughing off dead skin cells. Chocolate based beauty cures help to revitalize the skin. Finally, according to Livestrong.com , chocolate stimulates the release of serotonin, a hormone that can induce feelings of peace and well being, a perfect touch for any spa or salon treatment. After learning about the beauty benefits of chocolates, I was eager to experience chocolate beauty care. I noticed one such novelty--at least it was new to me--as part of a Living Social "deal" for a Hot Chocolate waxing treatment, offered at a New York City salon. After a historically long winter spent covered-up in pants, my mid-calf-lengthed puffer coat, tights and hose, the notion of a wax treatment, with spring and summer fast approaching, seemed ideal. And a treatment -- or anything else for that matter -- that included chocolate, well, all the better. I purchased the "deal", without giving it a second thought. Discounted from $40 to about $20, I thought, if nothing else it would make for a fun tale for these, my Hot Cocoa Chronicles. But after the experience, I am pleased to say without reservation, I came away with so much more. The salon, though not super upscale, was modern, organized and solidly appointed with things like flat-screen entertainment, luxury armchairs for pedicure and massage, nice quality and range of nail colors, and tidy and orderly treatment rooms. Clean, scrubbed with just the right amount of luxury, the salon was decorated in shades of orange, and was relaxed and comfortable. I would definitely go back for repeat and new services. The staff and beauticians were pleasant and professional. Lisa, my very respectable, mature, beautician, who I guessed to be of Eastern European descent, definitely hooked me up! It was my first time for a wax, but Lisa immediately put me at ease, and I remained so throughout the entire treatment. She answered my very many questions and gave great information, sharing the features and benefits of the product, chocolate wax, in a way that demonstrated her knowledge and inspired confidence. In the treatment room, there was a kettle of molten, liquid chocolate that looked fondue-ready, complete with skewer-esque, tongue depressor-like applicators, which seemed to be just asking for marshmallows, strawberries or other tasty, drenchable morsels. Tempted to dip my finger in the waxy goo, I was called back to the task at hand when Lisa knocked, then entered the room, ready to get to work. Flat on my back, staring at the ceiling, she went to work applying and ripping strips away. As she worked, she told me how chocolate wax was great for sensitive skin, and particularly skin of color, given its all natural qualities. This had been among the attributes of the treatment that drew me to the offer in the first place. The product she used on this day also contained almond oil, ingredients which, together, were said to minimize redness and irritation and fully leverage the anti-inflammatory qualities of the cocoa bean. Wax infused with chocolate is also reported to offer less discomfort and a more pleasant aroma, adding to the overall sense of decadence. More, hot chocolate for waxing leaves little to no residue. For a bikini waxing procedural 101, click http://beauty.about.com/od/hairremoval/ht/bikiniwax.htm to learn more. I felt I was in good hands the whole way. Lisa and I gabbed about: relationships, love and marriage; men, both, good and bad; love gone wrong and divorce. She was totally genuine, endearing and inspiring of, like the shop's name, confidence. When you're bearing it all getting waxed, confidence means a lot. Our conversation was a diversion, but Lisa's sharing added another layer of disclosure to the experience that made it memorable. Now, perhaps, I'm making more of this than it was, (we writers tend to do that) but after a long winter, this California girl came away feeling rejuvenated, more open, ready for spring and to interact with the world. Not speaking sexually or being facetious -- it's not like I'll go streaking through Times Square orMid-town showing off "my work" to strangers -- but rather, I felt the protective boundaries created to weather the harshness of winter have permeated my psyche and anatomy until now. This experience however, has worked to exfoliate much of the facade that distanced me from the elements, the world, and people around me. The inter-personal exchange, my vulnerability through the process and the pealing away of superfice, quite literally as well as metaphorically, have ushered in a new season of openness and hope. In a few words, it's given me a new "confidence." Yes, spring, with all of its chocolaty goodness, has arrived in New York! If you can’t wait for the next Living Social or Groupon offer, and a chocolate wax or spa treatment is not in your budget, you might want to give a try to this at-home option for a chocolate mask, from http://www.livestrong.com/ . To make the experience more luxurious, throw on a plush robe and slippers, turn-up your favorite music, and sip a cup of cocoa, hot or chilled chocolate dessert tea, like Tea Forte's Belgian Mint, or Coco Truffle, http://www.teaforte.com/. Even a glass of champagne if you're really feeling indulgent will melt away any residual winter frost. After, you too, will be ready for spring in no time. Mask Ingredients: 1/3 cup cocoa, 1/4 cup honey, two tbsp. heavy cream and three tsp. of oatmeal powder. Blend ingredients until well mixed. Apply gently to your face with a massaging motion so the oatmeal can exfoliate your dead skin cells. After 20 minutes, rinse your face with lukewarm water. I am a long-time fan of your publication and Facebook friend. I am contacting the publication to propose a feature story about an important news issue that is of relevance to women of the African Diaspora. To that end, this is a query. A United States-born, African-American woman, I consider myself a world citizen who has of late been reflecting on myriad angles and aspects of hot chocolate on my blog, Valerie's Vignettes at www.valorenaonline.com. As part of my recent exploration of hot chocolate -- a series I have dubbed affectionately as the Cocoa Chronicles -- I have learned much about the struggles of women in African regions of the international "Cocoa Belt," and more about efforts of other Africans to improve conditions for themselves and other Africans. It is an important story that I feel is worth exploring further, particularly as tensions rise in the Ivory Coast, the "Jewel of West Africa." Here in the U.S., the notion of "lifting one's self up by one's boot-straps," is a well-known phrase. It refers to the notion and process of working independently toward self-sufficiency, a process in which education and personal responsibility are keys to empowerment. It is in this same spirit that I have worked to inform myself, while writing, posting stories and developing my blog. Over the course of this effort, I have become aware of one particular non-governmental organization (N.G.O.) that is doing this, too, as featured in a recently published Q&A posted on my blog. Part of what I hope will become a five part piece, "The Hot Cocoa Belt around the World" by Valerie Williams-Sanchez, seeks to inform and educate those throughout the African Diaspora about the current struggles in Ivory Coast and the important work going on in African by African peoples. For Essence magazine, I would invite the publication to publish the piece along with yet to be written, PART V, which would include a final section, featuring original reporting on African women, who have triumphed and transcended the abuses of the Cocoa Belt and the industries it sustains. Immediately, please feel free to visit my blog. 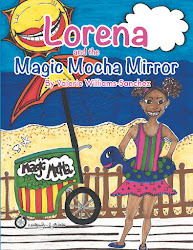 Read the stories, including the first, Graffiti, (http://www.valorenaonline.com/2010/11/graffiti-by-valerie-williams-sanchez.html), a personal statement of sorts, and consider this a proposal to be retained to conduct original reporting on behalf of the publication on this topic. I look forward to working with Essence, and to creating an informative and important entry into the volume of knowledge, awareness and activism about women of the African Diaspora. Ivory Coast and other West African countries, while perhaps the more prolific countries of the Cocoa trade, they are not alone. Ghana and Nigeria, are also key players in Africa. Elsewhere, other cocoa bean producing countries that make up the world's "cacao belt" include Brazil, Venezuela, Mexico, Nicaragua, Guatemala, Colombia, the Caribbean islands, Jamaica, Malaysia, Indonesia, and Sri Lanka. 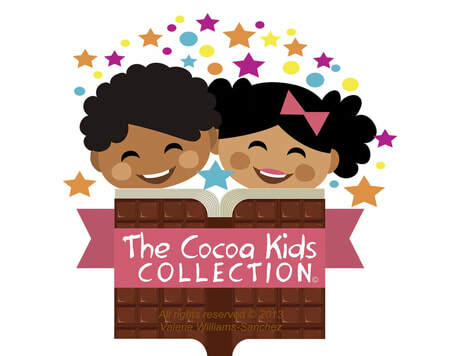 Throughout the 'Cocoa belt" there are three main families of cacao trees, respectively. From Africa, the Forastero type of bean, which accounts for 85% of the world's supply, originates from the Upper Amazon. This type of bean has a robust, full-bodied and pronounced flavor. In Mexico and South America, the Criollo bean is most prominent, known for its exceptional quality, aroma, and flavor. This bean unlike other types of cocoa is, according to internet sources, nearly without bitterness, a quality that makes it a favorite among luxury chocolate makers. It is a bean that is considered rare, and therefore commands premium pricing. It is the type of bean used almost exclusively for the production of Grand Cru chocolates, those carrying the designation which signifies that the beans in a bar all come from a certain plantation in a particular country or region. Since the introduction in the 1980's of Grand Cru as a marketing moniker, the term Premier Cru also has been added to denote an even higher level of quality. Combining the characteristic robustness of the Forestero and delicate flavor of the criollo types of beans, the Trinitario cocoa bean is a hybrid named for the island of Trinidad. All three types of bean come from cocoa trees, bringing truth to the notion that chocolate grows on trees. But the path from cocoa bean to chocolate bar is a long and labor intensive journey from the tree which typically grows in humid, tropical regions, between 10 degrees north and 10 degrees south of the equator. The cocoa tree, also called the cacao palm and the chocolate tree, is dependent on ambient heat and humidity. Very fragile, the tree often grows in the shade. Cocoa tree fruit, which are called and resemble pods, presents a rather startling appearance, as it grows right on the tree trunk. A pod weighs between 7 to 27 ounces, and takes 5 to 6 months to reach maturity. And again on this day there is snow! The banks of black snow and ice have again been dusted over, made magical by a respectable layer of flakes. Puddles, which had begun to form during the three days of dryness and relative warmth, are again made crystalline, where they formed in walkways and thorough fares through out Manhattan and the suburbs of North Bergen, New Jersey. A Parisian chocolate is on the list to try tonight, when lights from the George Washington Bridge will shine, creating the sort of romantic landscape and ambience one might find in a café on the banks of the River Seine near Paris in France. But here in America, I am looking to the waters of the Hudson, towards the Atlantic and dreaming across the pond, of chocolate … Ah, the chocolate! On these shores, on this day, chocolate is the stuff of romantic musings and moments of comfort. While on yet other shores of the other side of the grand Atlantic pond, cocoa and the business of cocoa beans conjures up thoughts of political volatility, civil unrest and human exploitation. Ivory Coast is the world’s largest producer of cocoa, the essential part of chocolate and most chocolate products. Its geographic neighbor, Ghana, which ranks second, leads in Europe for its cocoa which is prized for its quality. 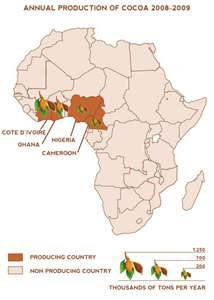 This means that the aggregate swath of West African soil, according to internet sources, grows the majority of the world's cocoa, according to internet sources at http://www.cocoainitiative.org . Not a new phenomenon, the same internet sources report, Africa is expected to remain the world's leading cocoa producing area into the next decade. With cocoa bean production in the Ivory Coast, expected to show growth of 2.3 percent a year from 1.2 million tonnes to 1.6 million tones, once at this level, production will account for approximately 44 percent of global cocoa. The industry in West Africa imports cocoa and cocoa beans out of the continent, for manufacture and packaging in other countries, fuels governments and their military. At lest they did until recently when, much like in Egypt, the incumbent failed to vacate the office following his defeat in democratic elections held last November. Mr. Laurent Gbagbo lead an unsuccessful bid for reelection, yet remains in power. In an effort to provoke his ouster, Alassan Ouattara, the internationally recognized winner of the November presidential elections, imposed a ban on Jan. 23 initiated to force Mr. Gbagbo out of the post by undermining funding from the export Mr. Gbagbo utilizes to pay his servants and supporters in the military. Driven by unrest in the region, the commodity has gained 25 percent since late November and continued to climb since the boycott began. Bloomberg sources report the commodity has reached prices, per metric ton comparable only to levels seen in 1979. At date, cocoa beans had reached pricing upwards of USD $3,586 a metric ton.